Her Majesty The Queen launched The Georgian Papers Programme in April 2015. Since then The Georgian Papers Programme partners have been working together to digitise the first 33,000 documents in the collection. At the heart of the Georgian Papers Programme is a partnership between the Royal Collection Trust, Royal Archives, the Royal Library and King’s College London. The Omohundro Institute of Early American History & Culture and William & Mary are also sharing in this work as primary partners in America. The programme promises to deepen the understanding and provide new insights into Britain’s role in the world, it’s relationship with other European states, colonial America and the United States of America, as well as British politics, the Enlightenment and much more. Academics from partner organisations have been given unprecedented access to the collection. It will also integrate research and teaching throughout King’s College London by drawing on scholarships in Arts and Humanities, Social and Medical Sciences, Politics, War Studies and Geography. In 2015 four fellows were funded by the Omohundro Institute and King’s College. Alongside the pursuit of their own research, they looked at the potential for the Georgian Papers to support research into many different themes. These themes ranged from Conservative Thought and Ideas of Moral Reform to Sovereignty and Spirituality. “Being the first to consult the Georgian Archives was a really memorable experience,” research fellow Alice Marples from King’s College said. It was so exciting to work in Windsor Castle. “The evidence that i collected has added significant value to my dissertation and i know how wonderful material that will serve as the basis for future projects,” Jim Ambuske from the Omohundro Institute said. “I am grateful that I have had the opportunity to dig through the archives and excited to see how future scholars will use this wonderful collection to transform our understanding of the Georgian era,” he added. King’s College London was founded by King George IV and the Duke of Wellington in 1829. As a centre for 18th Century research and digital humanities King’s has academic expertise vital to the exploration of the Georgian Papers. It was helped shape the academic agenda to streamline access to the papers digitally, as well as organising public lectures, seminars, conferences and exhibitions showcasing the project. The Omohundro Institute supports fellowships to support the Georgian Papers Programme on transatlantic and early American topics. It will sponsor up to eight fellows annually throughout the next four years of the programme and like King’s will play a large part in organising conferences and lectures in both countries. 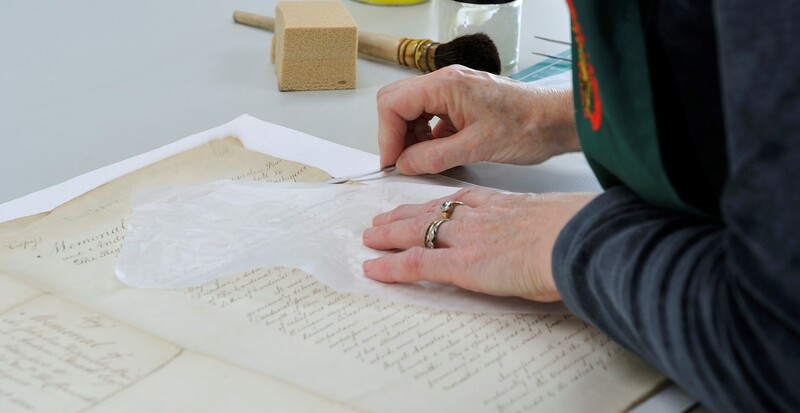 William and Mary have helped to set standards for cataloguing and digitising to contribute to the ever-evolving role of libraries in the digital age. 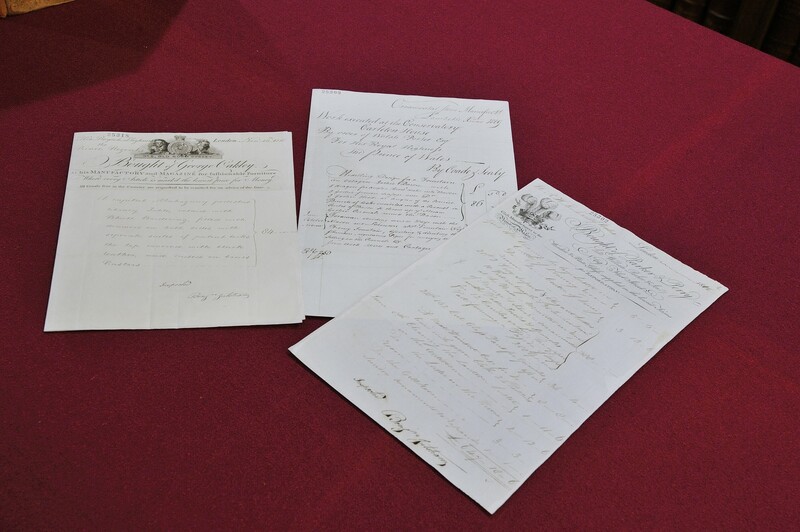 While this process takes place at Windsor Castle, William and Mary’s librarians and student asistants will work to transcribe materials and enhance metadata descriptions. The scanned documents will also be processed in the digital laboratory at Swem Library, the college’s main campus library in Williamsburg, Virginia. The Royal Archives is the private archive of the Royal Family. They were first established in Windsor in 1914 during the early reign of King George V.
The Royal Library is the official library of the Sovereign and is an incredibly diverse collection containing more than 200,000 items. The Royal Collection Trust was established in 1987, and is a department of the Royal Household and the only one that operates as a charity without recourse to public funds. The Royal Collection staff care for the Royal Collection, one of the world's greatest art collections, and manage the public opening of the official residences of Her Majesty The Queen – Buckingham Palace, Windsor Castle and the Palace of Holyroodhouse in Edinburgh. To explore the Georgian Papers Programme go to the Royal Collection Trust website here.